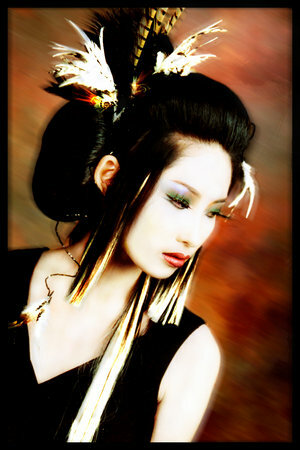 Hair accessories do a marvelous job at completing any hairstyle. And when you think about it, why wouldn’t they? Women accessorize their little black dress with a brooch and their high heels with their handbags, so it only makes sense that we should add accessories to our hair as well. Think of it as if your hair were a sundae. The accessories would the sprinkles and the cherry on top (and aren’t those the best parts?). Hair accessories like headbands work for everyone! My favorite accessory trend this summer, has been headbands and the beauty being, headbands work on virtually anybody. Headbands are so versatile and come in a variety of style options. You can wear your hair pulled back and top the look off with a thick headband to give your hairstyle a sleek look or try two skinny headbands to add a fun element to your hairstyle. Another headband that is ultra trendy right now is the hippie headband look, what do you know, just in time for the 40th celebration of Woodstock! For this look, wear a headband horizontally around your head like Molly Sims did in this picture. Headbands are a quick and easy way to dress up any hairstyle. Scarfs, made popular again by stars like Nicole Richie, are not only fashionable, but keep the hair under control during what might otherwise be considered “a bad hair day”. Scarves can keep hair off your face at the beach or pool and will give your hairstyle elegance reminiscent of Jackie-O. Look at how with just a scarf and sunglasses, Nicole Richie transformed her simple ponytail into a very elegant overall look. I suggest picking a scarf that compliments your outfit, but isn’t too matchy-matchy. For example, if you are wearing a yellow and white polka-dot bikini, don a yellow scarf to tie the look together. Give your style an exotic spin using flowers as hair accessories. I have been wearing flowers in my hair for years, and I’m glad to see this style has come around . . . means more accessories to choose from! I think adding a flower to any hair style gives a striking, unique look that no other accessories can achieve. I like wearing my hair one of two ways when I add a flower to my style. One is down and wavy with a flower tucked into it behind my ear. This is a great style if you are going for an organic and natural looking overall hair style. I also like to pull my hair back into a messy bun and then tuck the flower in towards the back like Rachel McAdams did in the picture above. I love that she added another hot trend, braids to this look. Experiment with different colorful flowers and different hairstyles to see which one will suit you best. Headbands, scarfs, and barrettes are examples of only a few amazing items that can be used to accessorize your hair. Above you can find cool, helpful articles describing everything from Kentucky Derby hats to wedding day hair accessories. For more great accessory looks check out our Pinterest Hair Accessories board.